Do you need to have a Windows Replacement in Eagle Rock installed? Then you will want to find out what Intex Windows & Doors has to offer. We guarantee top notch customer service and fixtures that will only accentuate the style and beauty of your home. Regardless of the architecture, we are sure that you will be able to find something in the catalog that will fit your needs. Even if you are having difficulty with this, we should still be able to assist you, as we work on a customization basis as well. If you have an idea of what you would like your windows to look like and any specific features, be sure to have it in mind and let us know when you call to speak with a customer service representative. You will love how convenient it can be to shop from Intex Windows & Doors for your Windows Replacement in East Pasadena. From Milgard Quiet Line to Archetype Narrow windows from Fleetwood and everything in between, you will be pleasantly surprised with the collection that we have gathered for our online store. Here at Intex, we are committed to assisting our customers with their door and window fixture needs. Regardless of the type of property, commercial or residential, we are here to serve you with quality customer service that cannot be beat. 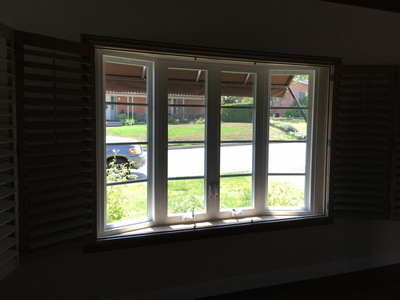 We have many skilled technicians on staff that arrive at the scene within a timely manner and get to work right away to install your Milgard Essence Wood Windows and more. It is important that you are clear on the expectations and costs beforehand, so that you are not hit by a surprise. Fortunately, the costs for the products and installation are quite reasonable. Nearly anyone can purchase fixtures from Intex Windows & Doors without having to go outside of their budget. This helps to cut down on stress in your life and makes it possible to get a Windows Replacement in Eagle Rock, so that you can breathe easier and do all of those important things in life. You will know that these doors and windows last for many years, however you will receive a warranty with purchase of any fixture. That way, you do not have to shell out even more money in the event that there is something wrong with the product. If you do have a get a replacement window, know that there is a good chance that you will be required to have a permit in order to have it installed. This is because the zoning board for your town or city will want to review the specifications and know that it will be a sound choice for your specific property. This is especially the case with windows and doors that can be viewed by neighbors and passersby. It is crucial that any Milgard Essence Wood Windows you purchase are up to the high standards of craftsmanship, so that they will be deemed appropriate. With Intex Windows & Doors, you do not have to be stressed, as all of the products that we distribute are durable and made to be high quality. You will love what we can do for you and how easy it is to shop for superior door and window fixtures with a warranty included. Feel free to call and ask any questions as soon as you get an idea of what you want, and our customer service team will be happy to help you.